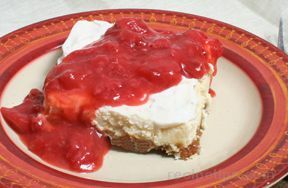 Creamy and delicious dessert that combines the great flavor of banana cream pie with cheesecake. Real sweetened whipped cream must be served beside this for an authentic flavor. Combine cookie crumbs, pecans and melted butter; press evenly into the bottom of a greased 9-inch spring form pan. Stand up whole cookies around edge of pan, rounded side of cookie against pan. Bake 10 minutes; cool completely on a wire rack. 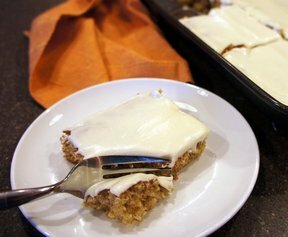 In a small saucepan, combine bananas, lemon juice and brown sugar. Cook over medium heat until sugar dissolves. Remove from heat. 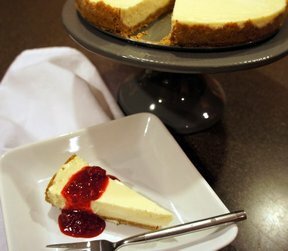 Beat cream cheese with an electric mixer until light and fluffy. Beat in sugar. Add eggs, 1 at a time, mixing well after each addition. Beat in vanilla. Gently stir in mixture. Pour mixture over prepared crust. Bake for 45-55 minutes until center is set. Cool completely, then refrigerate, not covered, for at least 6 hours. Before serving, prepare whipped cream. Beat whipping cream on low until bubbles start to form, 20 to 30 seconds. Increase to medium speed and beat until it begins to thicken; then beat on high. 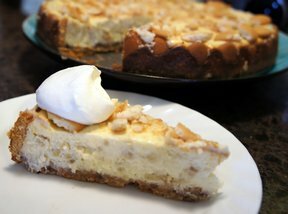 Just before it reaches the soft peak stage, add the sugar and vanilla; continue to beat on high until stiff peaks form. "No words to describe how good this was!"